Inam has been in legal practice for over twenty three years. 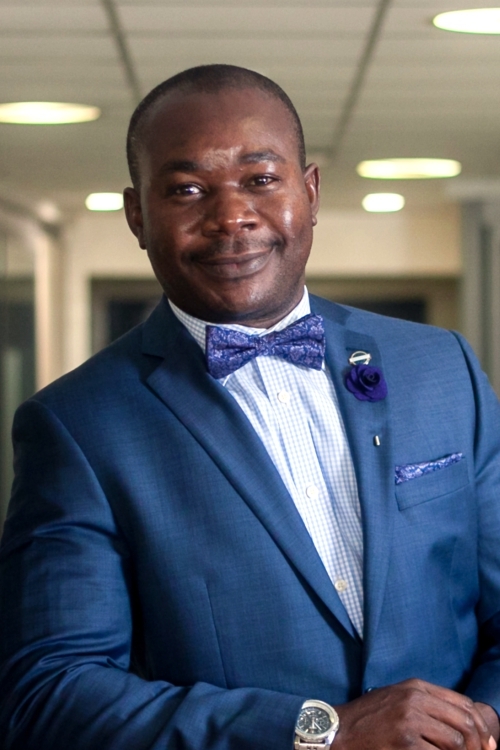 He holds a Master of Laws (LL.M) degree in Maritime and Commercial Law from the Lagos State University, Lagos, Nigeria and he is a Notary Public. He is actively involved in civil and commercial litigation and also advises regularly on transactions and regulatory/compliance issues relating to shipping, maritime, employment, labour, oil and gas, M&A, trusts and general corporate advisory. Inam is currently the Partner heading the Labour and Employment Group and he is also a member of the Energy and Projects, Corporate and Commercial as well as the Dispute Resolution Practice Groups in Templars. He has at one time also acted as a Consultant on Legal and Regulatory frameworks for World Bank economic reform projects in Nigeria. Advised Helios Investment Partners LLP on Nigerian law relating to the importation of banned goods, NAFDAC and trademarks registration as part of due diligence in connection with a proposed acquisition of Sun Mark Limited (and other target companies). Advised Edison Chouest Offshore on Nigerian local content laws as well as security for vessel financing in connection with a proposed investment in a Nigerian oil service company. Advised Harris Corporation (NYSE:HRS) in their acquisition of the Global Connectivity Services (GCS) business of Omnes Communications (Nigeria) Ltd (OCNL), a subsidiary of Schlumberger (NYSE:SLB). Advised Alcatel Lucent on Nigerian customs laws and regulations relating to importation of goods and computation of import duty and represented them in the negotiations with officials of the Nigerian Customs to review the import duties advised. Advised Barclays Capital (the investment banking division of Barclays Bank, London) and Capital Trust Company Ltd, London (the Bond Trustee) on the registration/notation in the Nigerian Ships Registry of a foreign mortgage as part of the security for a US$200 million convertible guaranteed bonds issued through a pre-qualifying public offering (QPO) by Sea Trucks Group Limited. Advised NGC TranzGas Limited in thire negotiation of a lease of a Barge and the Sale and Purchase of Liquefied Petroleum Gas by a Ghanaian company. Advised Halliburton Energy Services Nigeria Ltd on Nigeria law and procedure relating to exportation and importation of radioactive sources and other prohibited goods. Advises Advises BJ Services Company (UK) Ltd generally on labour, employment and pensions issues in Nigeria. Vallourec/VMOG generally on labour, employment and pensions issues in Nigeria.